The village of Stithians is remarkable in several ways – a lovely place to live with many amenities including a school, shops, pub, churches and a thriving community hall. 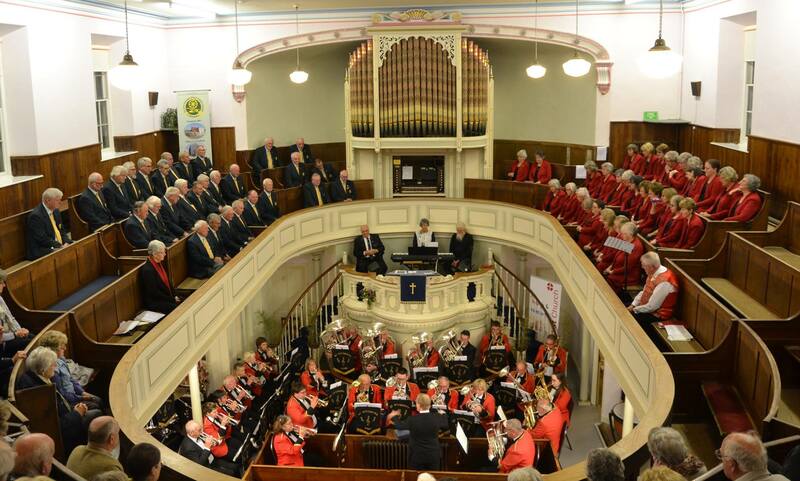 But it is rare to find a village so well served with musical activities, in particular a Male Voice Choir, now celebrating 70 years, a silver band celebrating 90 years and our own Stithians Ladies Choir a mere 50 years old! 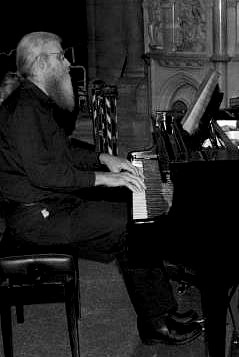 On Saturday 30th September the men’s choir hosted a lovely charity concert in the Methodist Church at Stithians involving all three musical groups and a magnificent £950 was raised to support the work of Motor Neurone Disease ( Cornwall ) With Adrian Wilton as compère and a wonderful audience the poor weather was forgotten and everyone had a thorough good time and we felt privileged to be part of such an uplifting evening. Tickets for the Saturday evening performance are nearly all sold out! The only remaining tickets for that night, 15 November, are available from Stithians Spar Shop. 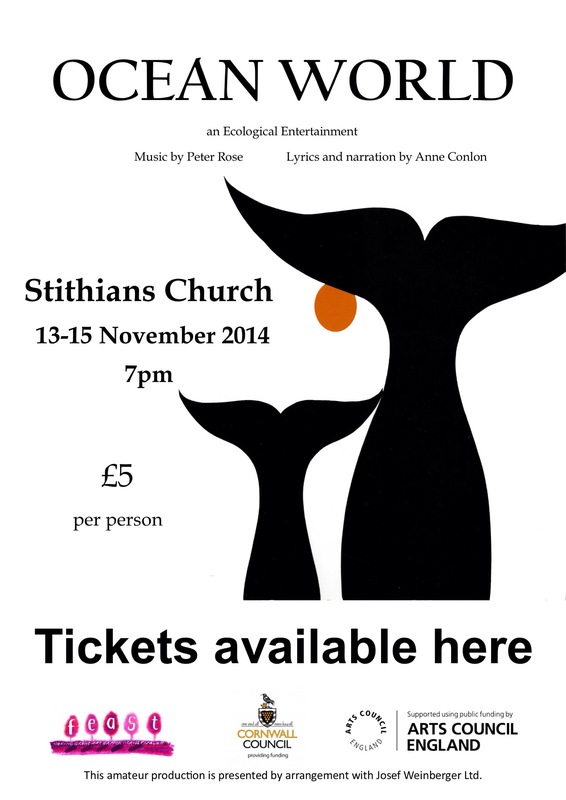 So if you’re intrigued by the thought of a 15ft whale in a church and looking for something completely different to do in Stithians in the middle of November, get your tickets quick! Ocean World: Thursday 13, Friday 14 and Saturday 15 November, 7pm Stithians Church. 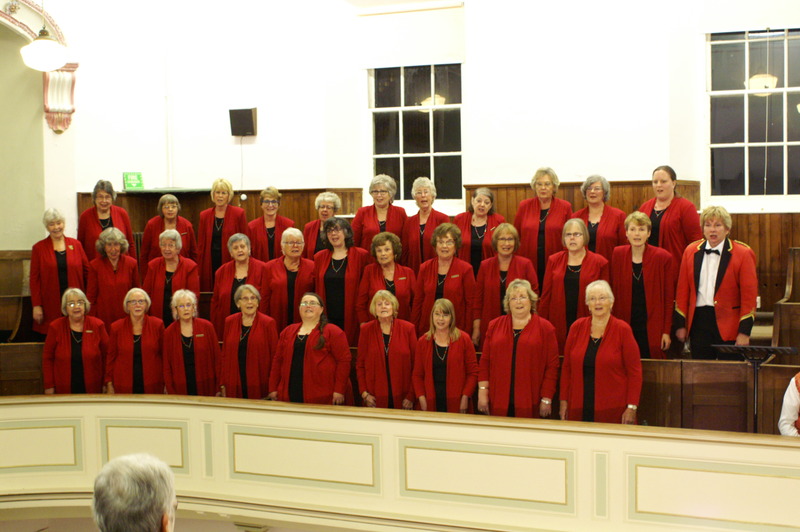 Tickets £5 each – available from Stithians Spar Shop, Du Barry, in Truro, or from Stithians Ladies Choir. Tickets for Ocean World now available! 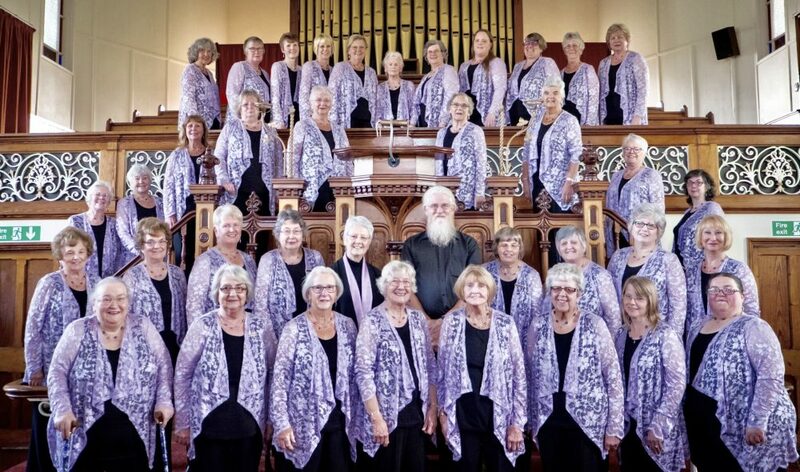 or by emailing stithiansladieschoir@ymail.com or through the Contact Us page of this website. Rehearsals for Ocean World are back in full swing now, as the performance dates approach. There were a few little lapses in memory after the summer break but we’re back on track now. This week, we’re looking forward to a rehearsal with our crew of fishermen hauled in from around Stithians. We are delighted to have received funding from FEAST to help with putting on the production of Ocean World. FEAST is a programme to make great art happen across Cornwall. FEAST harnesses the talents and energy of Cornwall’s artists and communities, generating new opportunities for everyone to enjoy the arts. The focus is on bringing people together to share experiences as audiences or participants, and on animating local celebrations and cultural life. Investment in FEAST comes from Arts Council England and Cornwall Council. 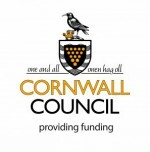 The programme is managed by Cornwall Arts Centre Trust.